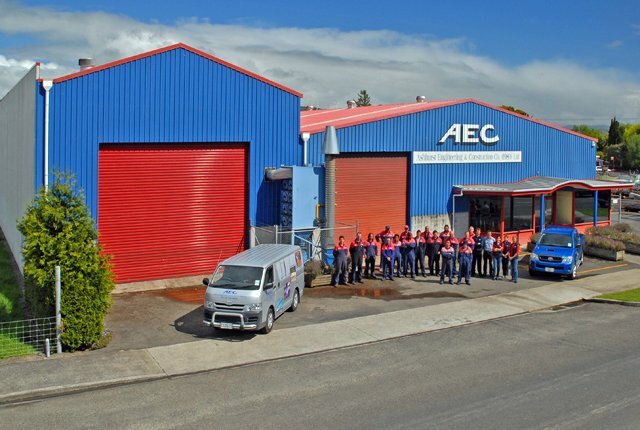 Ashhurst Engineering and Construction Co. (1989) Ltd is located in Ashhurst and Christchurch, New Zealand. We employ dedicated, qualified and experienced engineering, construction and support staff. We’re committed to following industry best practices, providing ongoing staff training and maintaining a safe, healthy work environment. If you have the skills and an interest in engineering construction work and are looking for an opportunity to use your skills in a business committed to developing its staff and to providing work of a high standard, then contact us via phone or email. We would welcome the opportunity to explore work opportunities with you. Our staff help drive our success and are our most valuable asset. Commitment and hard work are recognised and rewarded. You can download a Job Application Form here. On completion, please email the form to careers@aec1989.co.nz. For any enquiries please phone +64 6 3268040.